How powerful would our world be, if we had children, who were not afraid to take risks, who were not afraid to think, and who had a champion? Is this job tough? Yes. But it is not impossible. We can do this. We're born to make a difference." ​Ko Conrad Waitoa toku ingoa, no Maungawharu ahau. I was born Te Puia Spring, East Coast, raised in Ruatoria before moving to Hawkes Bay. Married in 2000, to Verena, where they now reside in Havelock North (Maungawharau), Aotearoa after living in London and Vancouver. They have 2 children, Nicholas and Sophie. Matua Conrad has inherited the mana and dignity of his genealogy. His mountain Pukeruru stands proudly as the Poroporo and Te Kohu rivers ripple gently past. His marae Putaanga, has the reverence and warmth that allows him to be proud of his Putaanga hapu and to stand tall amongst his Ngati Porou iwi. Matua Conrad is the founder of Inspire In Education Charitable Trust and Director of Whakaara Charitable Trust, Director of Village Finance Limited, Kiwi Personal Loanz and YTOA Limited. Prior to these, matua Conrad has 32 years corporate management experience, roles with leading International companies, Hyatt Group UK, Forte Hotels International, Coca-Cola Amatil NZ, Vero Insurance, ANZ Bank and Provident Insurance. Held Sports Management contracts with NZRU, NZ Rugby Players Association, and Hawkes Bay Rugby Union and 10 years services on two school board of trustees where he is the current Chairperson and the Chair of Whakaara Charitable Trust, Trustee of Patu Aotearoa and the Birchwood Trust and President at Havelock North Rugby Club. Hawkes Bay Person of the Year - Runner-Up 2017, Long Service Award for Contribution to Education and the Community NZ School Trustees Association 2017, Sport Hawkes Bay Winner - Achievement in Rugby, Ngati Kahungunu Winner of the Maori Sports Awards - Achievement in Sports and Awarded the most prestigious award The Jarrod Cunningham Memorial Award for Service to the Hawkes Bay Community, Club, and Province are a few of his achievements. Matua Conrad had a gift to a good start, Ko Togi Waitoa toku papa was the son of Henare Waitoa and Amiria Te Atamira Karaka. His granddad was educated at Te Aute College and was a great composer of waiata (songs) Tomo Mai e Tama Ma and many more. His grand dad was the son of Reverend Paraire Rangihuna and his great nanny was Te Wai Nepia from Nuhaka. His great granddad Paraire Rangihuna father was Rota Huna, but he was one of eight fostered children raised by Reverend Hone Waitoa, a missionary minister at Te Araroa. Ko Mary Waitoa toku whaea, was the daughter of Tunuiarangi Rupuha Te Hianga, known as Rangi Rupuha and to his mokopuna, Nanny Pa and Ripeka Nekewhare Hanita and known to her mokopuna, as Nanny Lady. They farmed land at Te Tapairu, Waipawa then farmed their own Maori land at Raukautatahi, on the fertile Takapau plains, Ngāti Kahungunu. ​​Matua Tom is highly respected across iwi, hapū, whānau, rugby and sporting circles, and the business sector. Tom spent 42 years working for one of Hawke's Bay's largest employers the Tomoana freezing works, during which time he worked his way up from labourer to assistant manager. ​Following the closure of Tomoana. Tom has been busy with many board appointments and managing his 30-acre lifestyle block. In 2009, matua Tom was appointed a member of the New Zealand Order of Merit for services to Māori. Matua Tom’s board appointments have included: Chairman, HB Rugby Board, 1991-1996; Director, New Zealand Rugby Union Board, 1995-2002; Director, Asure Board, 2000-2006; Member, Hawke’s Bay District Health Board, 2002-2008; and Chairman, Heretaunga Taiwhenua, 2001-2007. Current appointments: Chairman of Trustees for the Reservation of Matahiwi Marae; Kaumatua, NZ Māori Tourism Society; and Kaumatua; Sport Hawke’s Bay Regional Trust, Inspire In Education; kaumatua. Matua Tom's interests are whānau, Marae development, farming, and sport. Sir Pita, Born 20 July 1941, Waipawa, Hawkes Bay. Married with five children and loving mokopuna. Educated at Takapau Primary School, Waipukurau District High School, Te Aute College, Hawkes Bay. Then onto University where achieved BA in Geography and Anthropology, University of Auckland, Auckland Post Primary Teacher’s College, Dip Tchg, MA (1st class) in Anthropology, University of Auckland, PhD in Anthropology and Linguistics, University of Auckland and received honours/decorations CBE for services to New Zealand in Education. ​Sir Pita is a New Zealand Māori academic and politician, who was a co-leader of the Māori Party from 2004 to 2013, and a minister outside Cabinet in the National Party-led government from 2008 to 2014. Sir Pita was the member of Parliament for the Tāmaki Makaurau electorate in Auckland from 2005 to 2014 and stepped down as co-leader role of the Māori Party in July 2013. ​Adapt Accounting founder Dawn Murton has a passion for solving business owners accounting needs and helping her clients achieve success. With a wealth of experience in the commercial field in Hawkes Bay behind her. Dawn enjoys spending time with family and loves the great kiwi summer camping and water skiing season. Aidan leads the Māori Legal Team and is the Managing Director of McCaw Lewis Limited. Aidan acts for a number of Māori groups across the country on a wide range of legal issues affecting whānau, hapū and iwi. Aidan is an accredited Mediator and a member of AAMINZ and LEADR, and is also a member of the Rotary Club of Apia and a long standing member of Te Hunga Rōia Māori o Aotearoa (Māori Law Society). 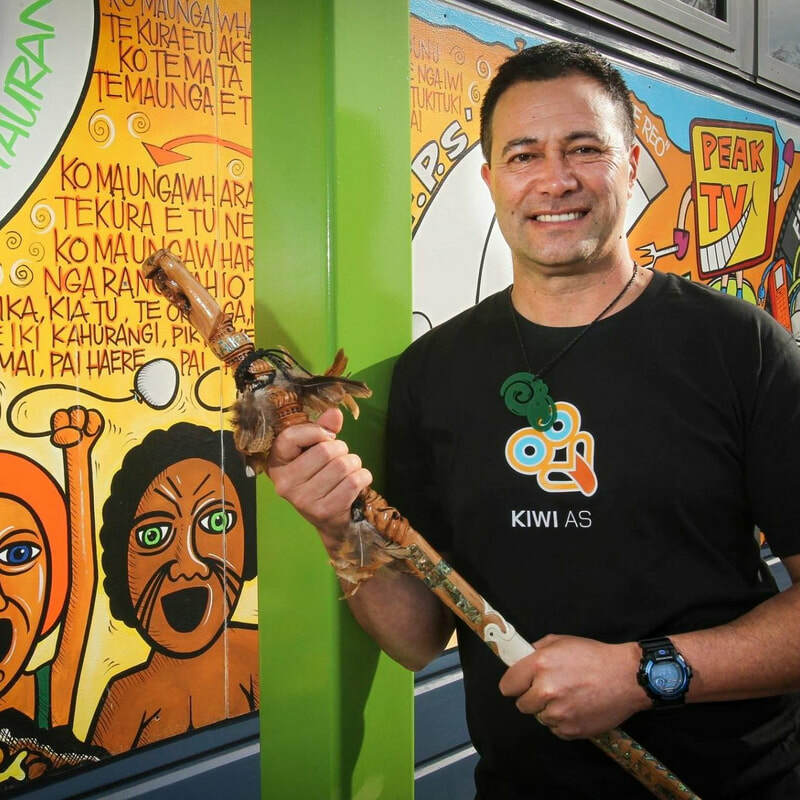 Aidan is dedicated to Māori success and is a strong believer in building long term relationships with people and ensuring that advice is culturally appropriate. Inspire In Education would like to acknowledge Kirsty for her passionate work, setting up IIE and believing in our kaupapa. Kirsty is now settled outside of the region and an experienced solicitor with a demonstrated history of working in the law practice industry. Skilled in Corporate Law, Legal Advice, Commercial Real Estate, Customer Service, and Microsoft Word. Strong legal professional graduated from New Plymouth Girls High School. is a Havelock North, Hawkes Bay local, and represented his Club Havelock North, Hawkes Bay Magpies, Blues and Hurricanes in Super Rugby and New Zealand at under-20 level and Maori All BLACKS. ​On 7 June 2017, West wrote his name into history by scoring the match winning try against the touring British and Irish Lions at Eden Park, with 6 minutes remaining. He added the conversion to push his side to a 22 - 16 final scoreline in what was the first Lions defeat on tour. Ihaia is an inspiration to all young inspiring sportsperson and brings a wealth knowledge around transitioning | career development and setting goals. Represents Hawkes Bay Magpies, Highlanders in Super Rugby and New Zealand at secondary schools, under 19 & 20 levels and Maori All BLACKS. Ash is also an inspiration to all young inspiring sportsperson and brings a wealth of knowledge around transitioning | career development and setting goals.